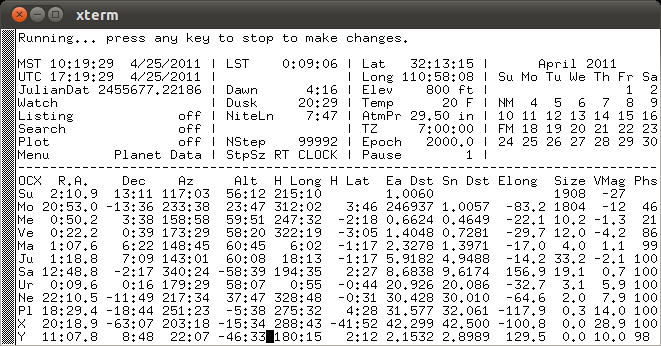 If you are looking for a screen-based astronomical ephemeris program with that retro look, or just want something very small and efficient, try ephem. 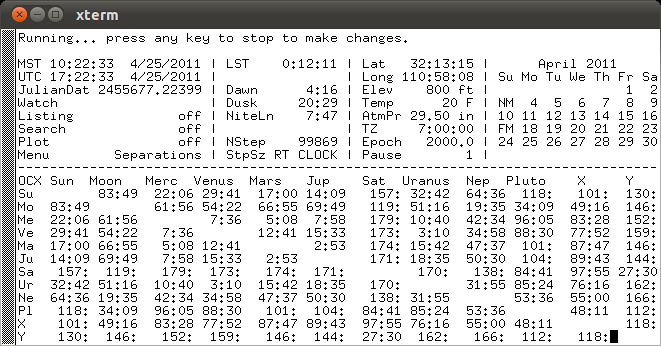 It was written almost 30 years ago in C and still compiles on just about any UNIX platform (including Linux and Mac OS X) and even VMS and Windows. The output is always 24 rows and 80 columns, just like the old glass TTYs. If you want something a little more modern, take a look at XEphem. President, Clear Sky Institute, Inc.
Click here for version 4.31, a modified version contributed 2015-Dec-20 by Doug Snead, semaphore_2000 at yahoo.com. 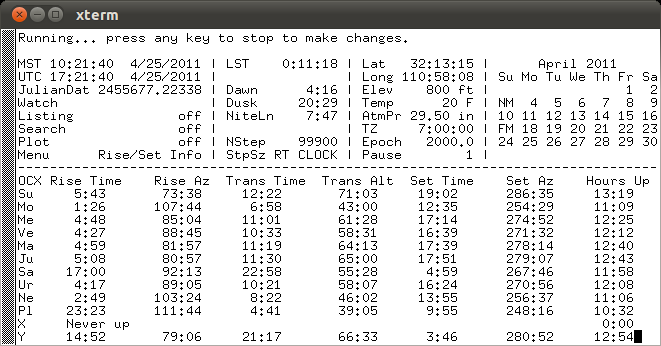 He added two watch modes and changed the build system to use cmake. Thanks Doug!